A young American boy, Prescott (Sweet), and his parents are staying in a French country house. Father (Cunningham) is busy as part of the American delegation during the 1918-19 negotiations leading up to the Treaty of Versailles. Mother (Bejo) is a devout Catholic but resentful of the sacrifices motherhood entails. She palms Prescott off on housekeeper Mona (Moreau) and local teacher Ada (Martin), while mooning over her ex-lover Charles (Pattinson). Prescott starts acting up and soon we’re in rather odd arthouse-horror territory, where Damien: Omen 2 (wintry palette, scary kid) meets Fanny and Alexander (posh frocks and oak-pannelled interiors). The film looks grand and is packed with visual references, including to Bresson’s Mouchette (chucking stones), Visconti’s Death in Venice (Prescott’s look) and Olmi’s Tree of Wooden Clogs (scenes of rural life). But one connection on which the film focuses is less than compelling – and without it working you just have the story of a bad-tempered posh kid and his authoritarian but ineffectual parents. The film is sectioned into four parts with an epilogue that jumps forwards to a fictional 1930s Fascist-style public event. Clearly, Prescott’s tantrums have grown up into something more sinister. Meanwhile, the nicely montaged archival footage at the beginning of the film and the setting of Prescott’s childhood suggests the venerable argument that the real-historical Treaty of Versailles engendered monsters. Most people agree that the punitive measures imposed by the victors on the vanquished in the Treaty of Versailles at the end of World War One were a large factor in the rise of fascism in the 1930s. This discontent that gave rise to fascism is even expressed – as a possible future consequence – by one of the assembled diplomats. But what is the relationship between this view and the dreary oedipal triangle played out here? It’s this connection between the explicit narrative strand and the implied real-historical strand that’s problematic. With – or even without – the historical strand, the narrative looks glib and phony to me. I’ve always found it a cliché to simply connect grand historical events to the individual psychology of their agents – but this is what The Childhood of a Leader does. It’s the sort of connection that History Channel documentaries bang on about, in an attempt to package genocide as entertainment. And it’s not the hi-quality concept one might expect from a self-aware piece of cinema like this. I think writer-director Corbet recognises this issue with his film and with the several sources for it. In fact, in the director’s commentary extra he mentions that it was one reason why the film was difficult to finance. I think he hopes that the interplay between fact and fiction will distract us; he plays a double game, associating yet distancing his story from history to add significance to the film. For me it doesn’t work. On the plus side, there’s a compelling uneasiness about almost every aspect of the film, regarding its founding concept as well as every character in it: they’re all scary as hell in different, repressed sorts of ways. 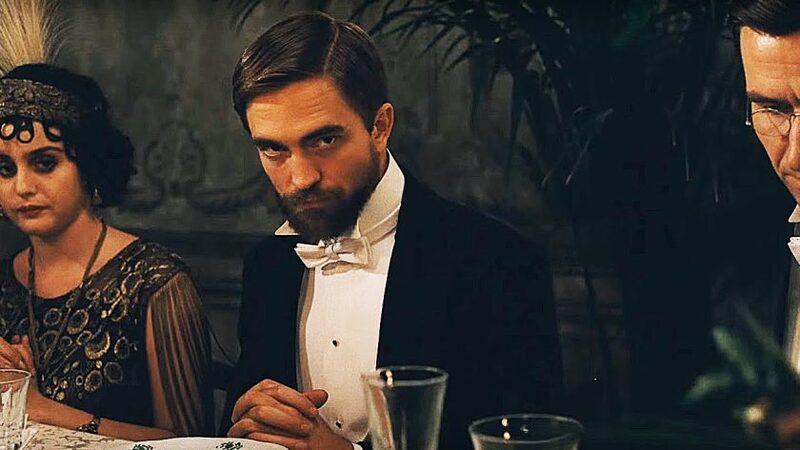 The Childhood of a Leader feels long, perhaps because despite the slightly pretentious intertitles, Prescott’s behaviour doesn’t feel like it is escalating dramatically. Of course, that makes the denouement of the childhood section even more shocking. Actor turned director Corbet obviously has a thing about the darker side of human nature – witness his disturbing performance as the manipulative, whining, homicidal anti-hero of Simon Killer. A special mention should go to Scott Walker’s raging score in percussive orchestral mode. It’s like a minimalist version of Bernard Herrmann’s score for Psycho and gives a sense of Prescott’s burgeoning inner demons. Required watching for those secretly proud parents who ‘worry’ that their strong-willed offspring might have the right character to manipulate future generations. The Childhood of a Leader comes to DVD and Blu-ray on 30 January 2017.